Samsung has announced a new member to the Galaxy tablet family, the new Galaxy Tab 7.0 Plus, which is an upgrade from the latest version of the successful GALAXY Tab. 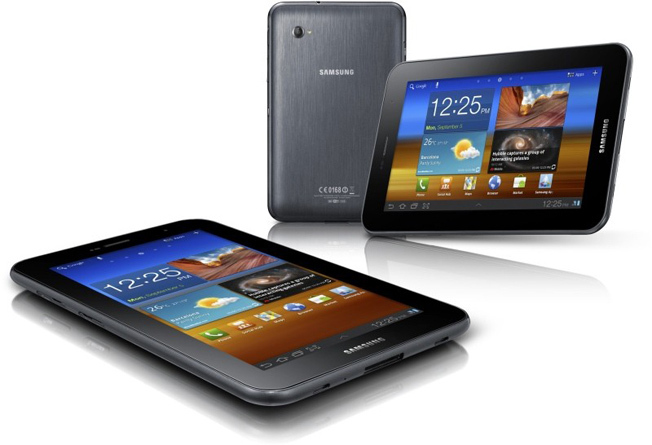 The new Galaxy Tab 7.0 Plus Tablet features a 7-inch 1,024 x 600-pixel display, a dual-core 1.2GHz processor, dual cameras, embedded HSPA+ and runs the Android 3.2 Honeycomb OS. As the Samsung’s mobile boss JK Shin said, the new GALAXY Tab 7.0 Plus will be equipped with enhanced portability, a better productivity and a richer multimedia experience. Speaking about productivity, the Web browsing will be enhanced by Adobe Flash and a super-fast HSPA+ connectivity, and will provide download speeds up to three times faster than a conventional HSPA connection. On top of that Wi-Fi Channel Bonding bonds two channels into one for improved network connection and data transfer at up to twice the speed. Galaxy Tab 7.0 Plus will become available in Indonesia and Austria somewhere toward the end of October, and the next countries in which it will be soon launched are in Southeast and Southwest Asia, U.S., Europe, CIS, Latin America, Middle East, Africa, Japan and China will follow. 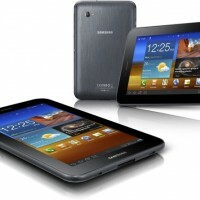 Unfortunately, no pricing or a specific launch date for the Galaxy Tab 7.0 Plus have been revealed to us, but we will keep posting as soon as we find out.